‘Yes, the story.’ My brother nudges me. Father always pretends he won’t tell us, but he always does. Each time, the story is more amazing. Two children beg their father to tell them Grandfather’s story. And tonight he agrees and tells them the story of children searching in the dark to discover the secret. Each is sure they have discovered the secret until Grandfather brings a torch and reveals that what they have each discovered is both true and only part of the truth. The two young children having heard this story then embark on a flying journey aboard their grandfather’s mystical elephant. They see the world from above, their grandfather’s home in a distant country, the war that hurt so many and many more places. Eventually they return home to the safety of home. Illustrations are in soft beautiful watercolours, realistic and mythical in turns. Text wanders about the page, adding to the dream/mythical sequences. Endpapers begin monochrome red and end rainbow-hued, though the underlying ink patterns remain the same. Elephants Have Wings is both realistic and allegorical. The family are safe in their home, but the story the father shares with the children reflects a previous life that wasn’t so safe, and tells a tale that reminds us that there are many perspectives and only by looking at the whole picture can we truly understand others. Elephants symbolise many things for different cultures. They are strong, live long, are considered wise and steadfast. All these characteristics are inherent in any journey to safety. 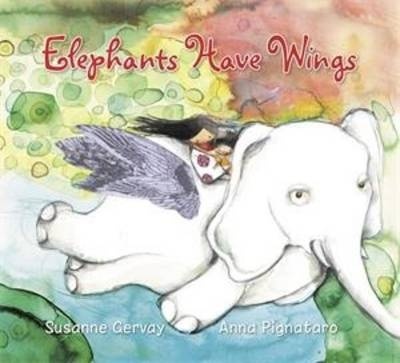 Elephants Have Wings is a beautiful story and will be enjoyed by many young readers purely on a superficial level. But there is much more to be explored here. Migration, oppression, endurance, perseverance and more, illuminated in word and image. A rich and delightful story for young and old alike. Recommended for primary readers. ‘I’m right here,’ said Mamma. Togetherbegins with a child checking that their mother is close by. What follows is an affirmation of mother-child love. The child asks questions, and Mamma tells her that she will always be there. The pair travel from the ‘now’ to the ends of the earth. 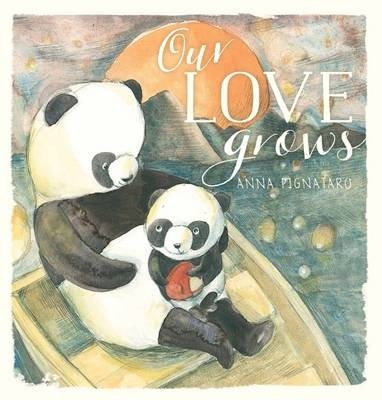 The ‘now’ of the picture book disappears in Mamma’s reassurance that wherever the child will go, so will she. Illustrations are in pencil and watercolours, gentle and colourful. ‘Together’ is an almost square, small-format hardback. The red cover offers a portal image of Mother and child reading a book together, just as this book is designed to be. Gold embossed lettering of title, author and falling leaves enhance the tactile experience of this book. Endpapers show the journeying child. Together is a lovely book. The topic is not new, in fact the need for reassurance and affirmation is as old as time. But each new generation needs to learn for themselves what it is to be loved and cherished. The text is very short, with illustrations conveying much of the action. It’s easy to imagine little fingers turning the pages, contributing to the ‘reading’. It is a book to be read and reread for comfort and reassurance. One small quibble is that the child in one spread is pictured holding an attractive-looking but poisonous toadstool (poison to people, if not to teddy bears!) Recommended for preschool-aged children. Sun and Star are simply beautiful. The gentle rhythms of Natalie Jane Prior’s words float along on gentle watercolours through a range of landscapes. The same sun, the same star, look down on town and country, winter and summer, mountain and ocean. Sun shines on rocky ocean and wakes seal pups, shines in a forest and wakes the songbirds. A variety of environments are presented with the animals that live there. Each is greeted with a reminder-rhyme to do their bit in waking up the day. Star journeys through similar, but not the same landscapes to turn down the glow and calm the dog. Both use gentle rhythm and repetition. Recommended for late lie-in-bed mornings, and early peaceful nights. Granny Alex always says, ‘That won’t be necessary, dear,’ and shuts her lips in a thin line. Aphrodite Alexandra has two long names because of her two grandmothers, but although they live quite close to each other, they don’t get along, much to their granddaughter’s dismay. Aphrodite is sure that they have a lot in common, but one Sunday she inadvertently brings them together. Part of Lothian’s Giggles series, Aphrodite Alexandra is a quick-read chapter book of just sixty pages, with a gentle message and a mix of humour and adventure. 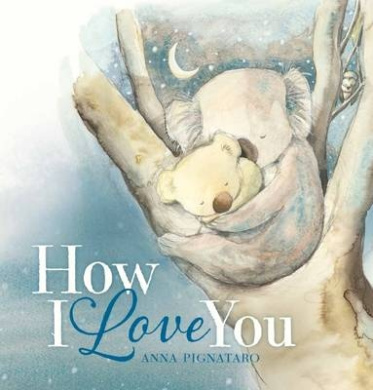 With plenty of illustrative support – each spread has at least one illustration – the book is equally suited to independent reading or to sharing with an adult. Aphrodite Alexandra is a likeable main character and her two grandmothers believably rendered.